We left Sydney on 27 May and flew to Rome with an overnight stop in Hong Kong. From Rome we immediately flew to Palermo, where we stayed three nights. 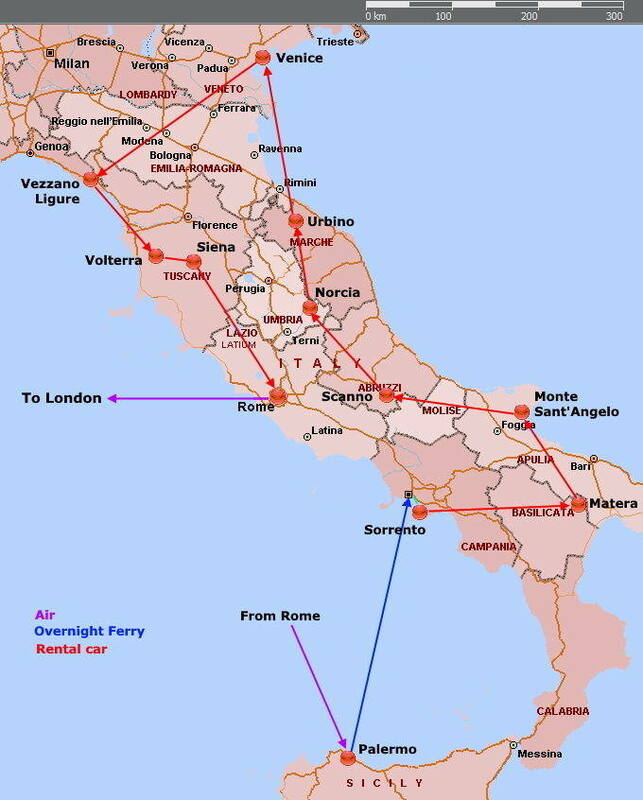 From there, we took an overnight ferry to Naples and then train to Sorrento, where we stayed for four nights. We finished by flying via London to Hong Kong, where we spent two nights before returning to Sydney. 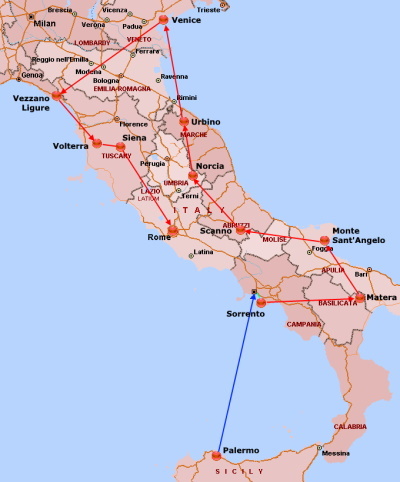 Click on the buttons to see pictures from our stops, or click here to start with Palermo.